Planning a trip to Magnolia Market? 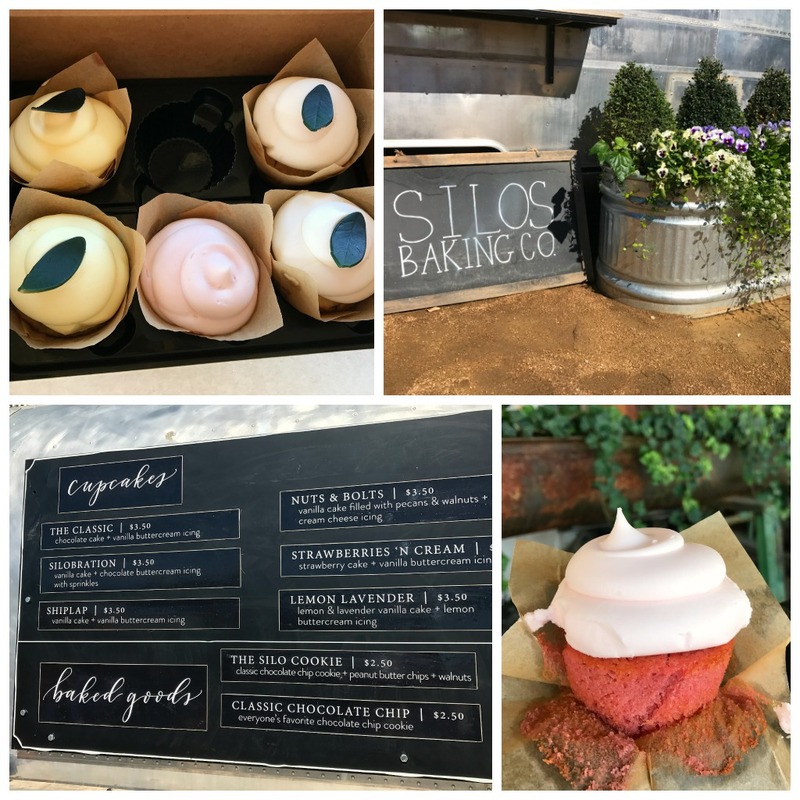 If so a must stop is the Silos Baking Co. It’s located right next door to the famed Magnolia Market and houses some of the world’s best cupcakes! But getting one of Chip and Jo’s coveted cupcakes and other baked goods is not as easy as you’d think. When we arrived in Waco for our Seekender weekend courtesy of Hampton by Hilton, I was surprised at how crowded the Magnolia compound really was. Especially on Saturday, the only weekend day it’s open. 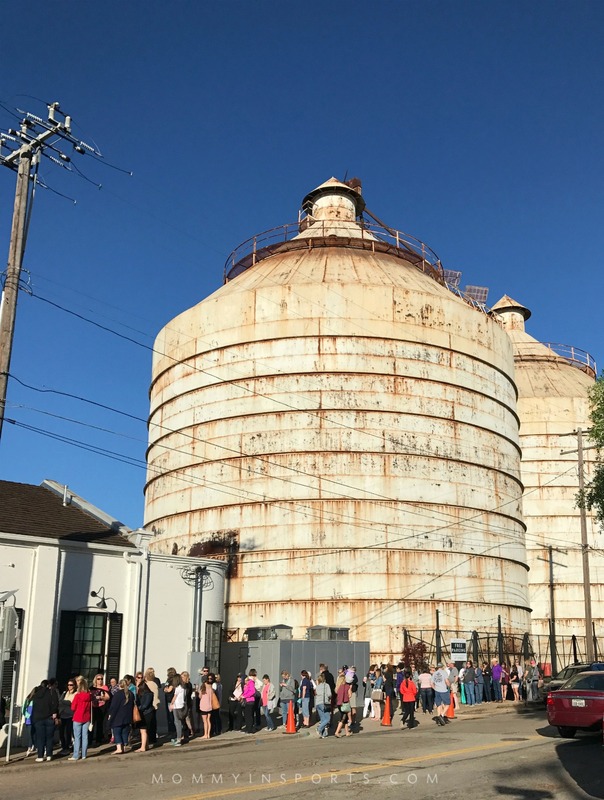 We reached the bakery grounds around 8:45 AM and the line stretched around to the silos. Some folks started lining up around 6:45am for a 7:30AM opening! Crazy huh? 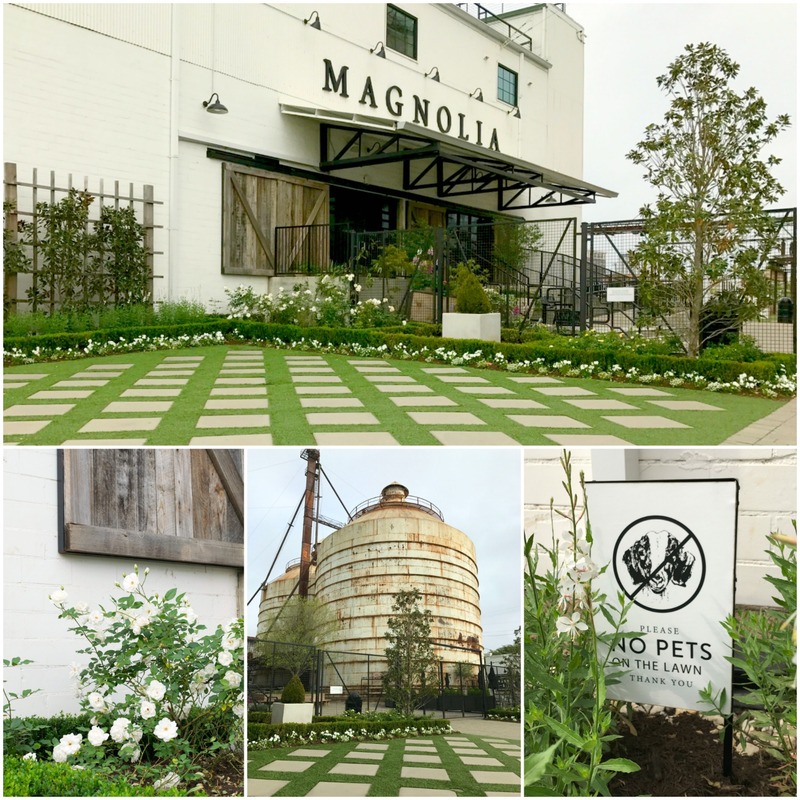 Watch a VIDEO tour here of Magnolia Market and Silos Baking Co. here! Only half of the line, I didn’t want to freak ya’ll out! So instead of grabbing coffee and a muffin, we decided to head into the Seed + Supply Store and Magnolia Market. It was there at Magnolia in the shipping line when one of the employees told me the big secret. You don’t have to wait in line at Silos Baking Co. because they also have a cupcake food truck. It’s genius right?! 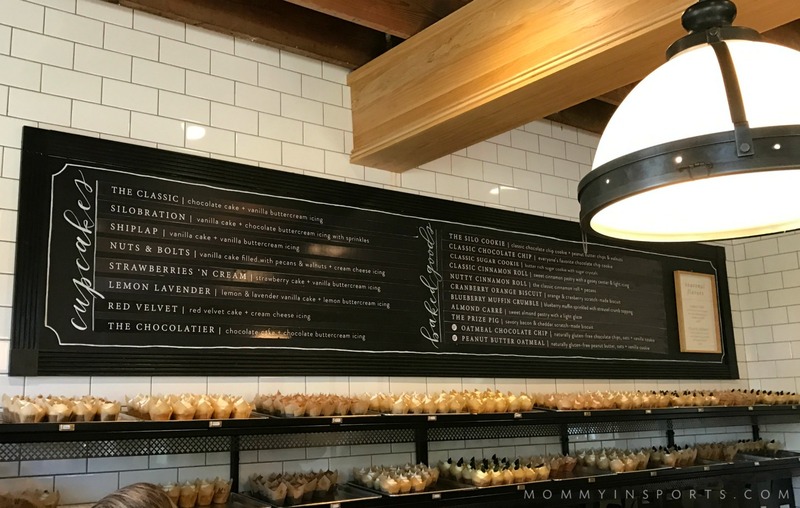 Here’s everything you need to know about Magnolia Market! The Silos Baking Co. cupcake truck opens at 11:30AM, so we did get in line around 11:15A, but it was worth it! They don’t offer the full menu there but do have lots of delish cupcakes and cookies. 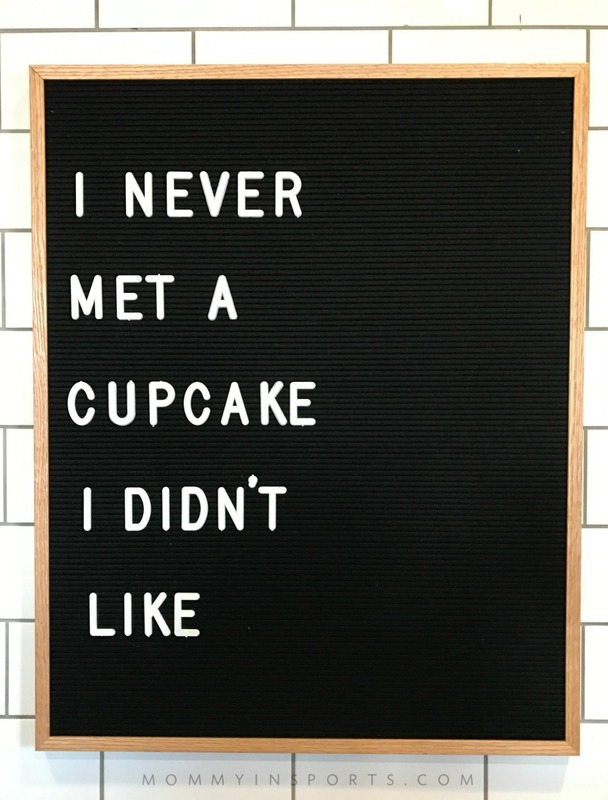 We tried Lavender Lemon, (really good if you like a more savory cupcake, Strawberries ‘n Cream (honestly Sprinkles Strawberry is better), and Shiplap, my FAV of all- time. It’s the best buttermilk cupcake I’ve ever tasted, and the frosting was like whipped cream! Couldn’t get a picture before because I HAD to try it! And that’s high praise because…. 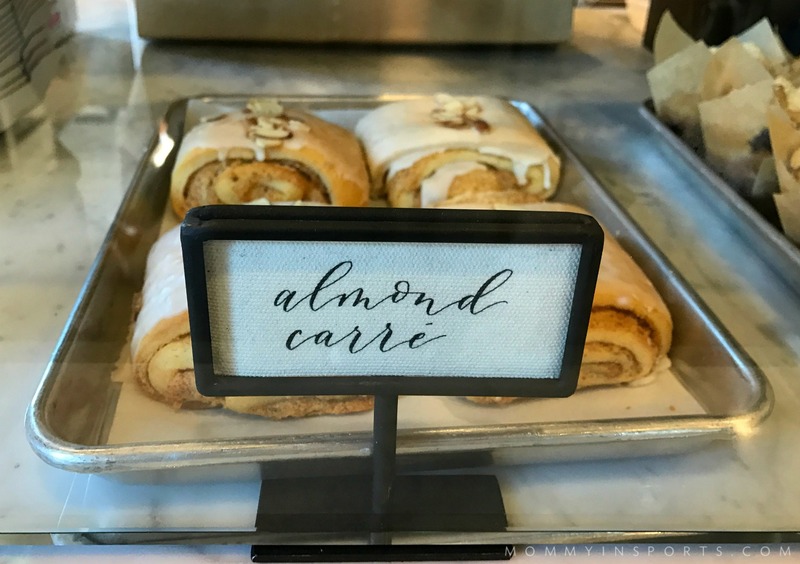 You will see this sign as soon as you step into Silos Baking Co.
After we enjoyed our delish snack at the Silos picnic tables, I decided to try my luck at the actual bakery. I mean you can’t come all the way to Magnolia and not go inside, right? And the nice employees were kind enough to allow me to take a peek inside. 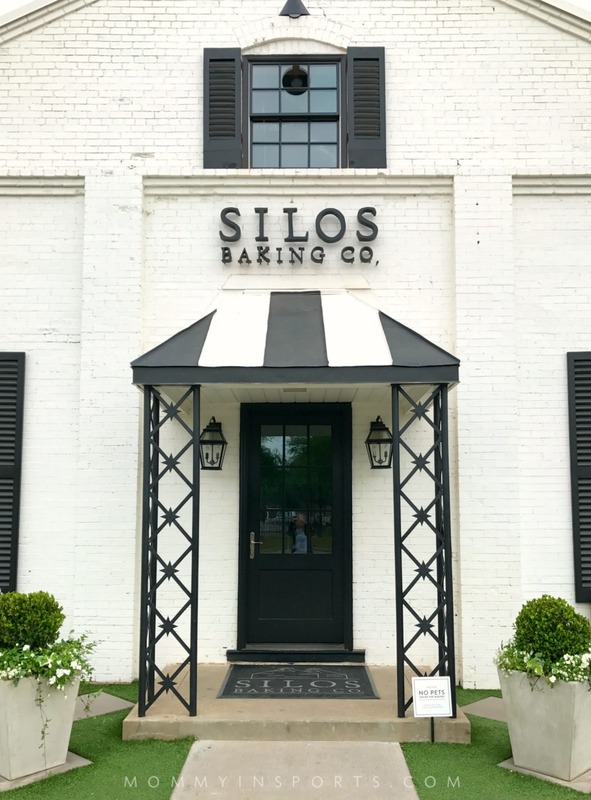 It’s small, and has a little line inside Silos Baking Co., but so quaint and full of more adorable Joanna Gaines decor. Here’s what the menu inside looks like! And what I wish I could have tried. Sigh. 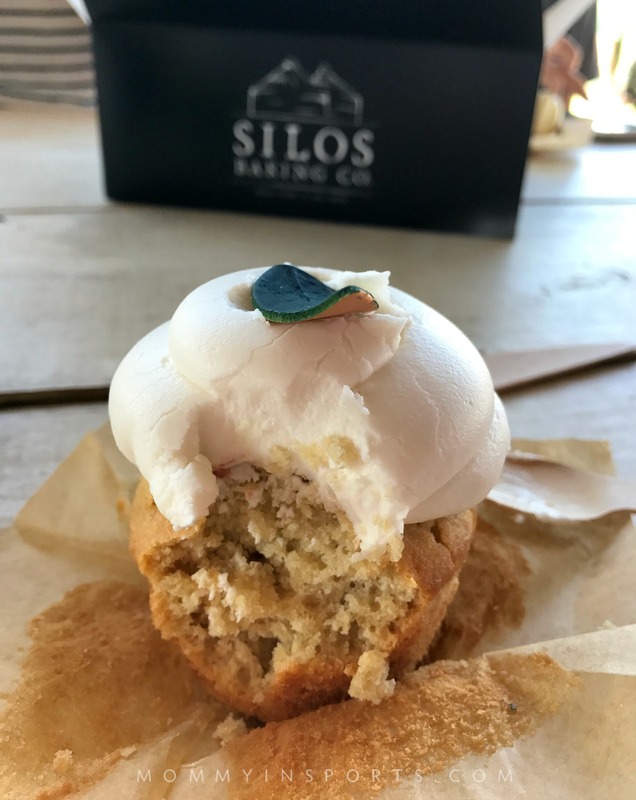 Silos Baking Co. is open Monday through Saturday, from 7:30am – 6:00pm. I wouldn’t wait until late afternoon though, you might miss out on a yummy treat! And if you do decide to make the trek to Waco, you can always stay at the Hampton by Hilton! Unleash your inner Seekender and have your own weekend trip to Magnolia! 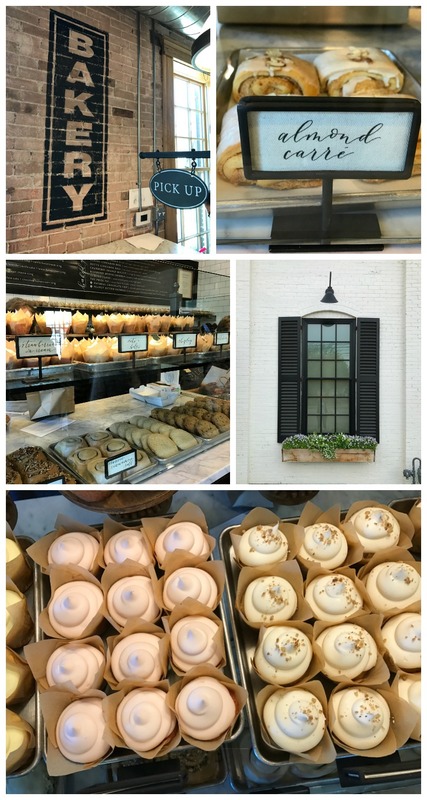 If you liked this post, please check out Everything You Need to Know for a Girls Weekend at Magnolia Market. 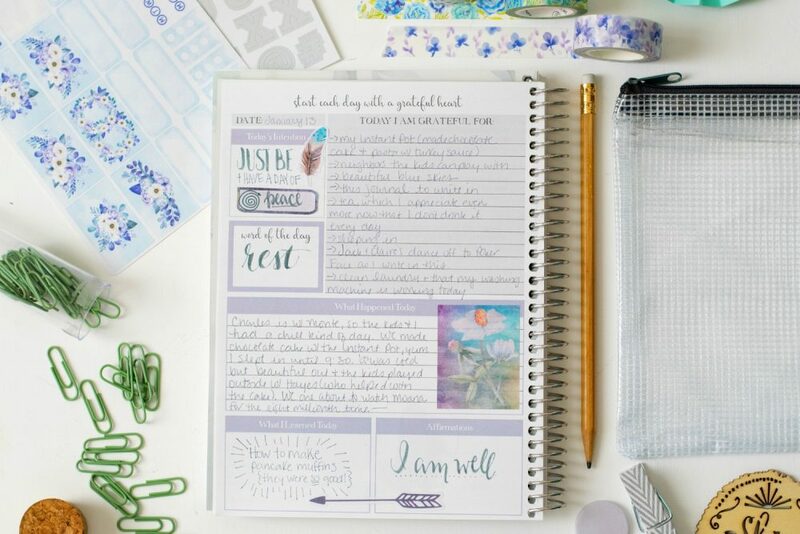 You won’t be disappointed, I share all the hacks we learned in Waco! Disclaimer: I was given a complimentary trip by Hampton by Hilton. Those cupcakes look amazing! And the entire place looks so fancy and welcoming. Great atmosphere! I may have to plan a trip to Texas just to go here (and Magnolia Market)! We visited Magnolia a year ago, before their bakery opened. Our oldest son and family live in Midlothian, TX, so we all drove down there for the day. I’m flying there in June and if by chance we don’t get there then, we’ll be driving to TX for Thanksgiving. One way or another, I’ve got to get back there and try their cupcakes. 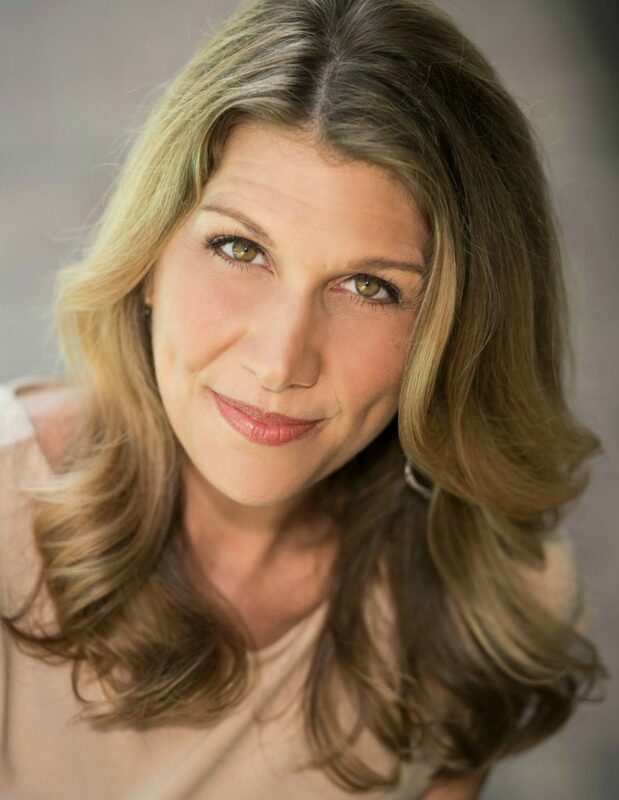 I’ve heard so many who have raved about them! 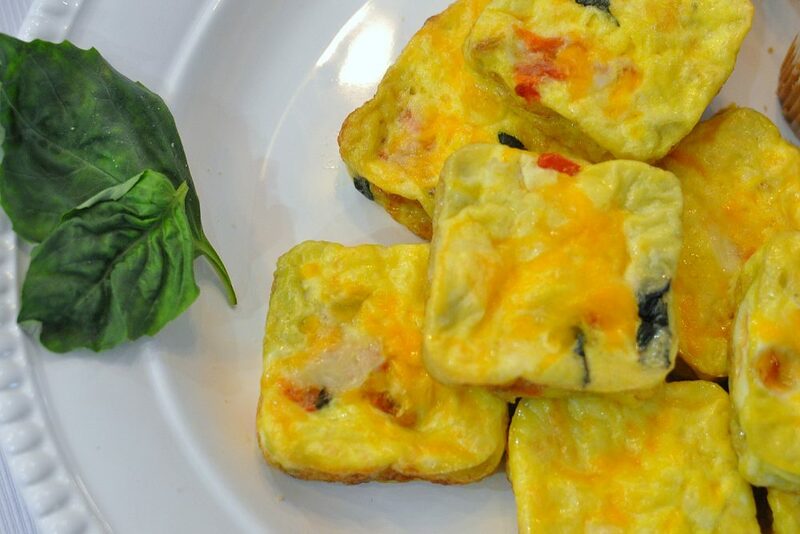 Thanks for sharing the photos and menu. Yay! Can’t wait until you go! What a cute place, but I can’t believe the line…crazy! Definitely a smart idea to try the cupcake truck. I wish I had one parked near me! 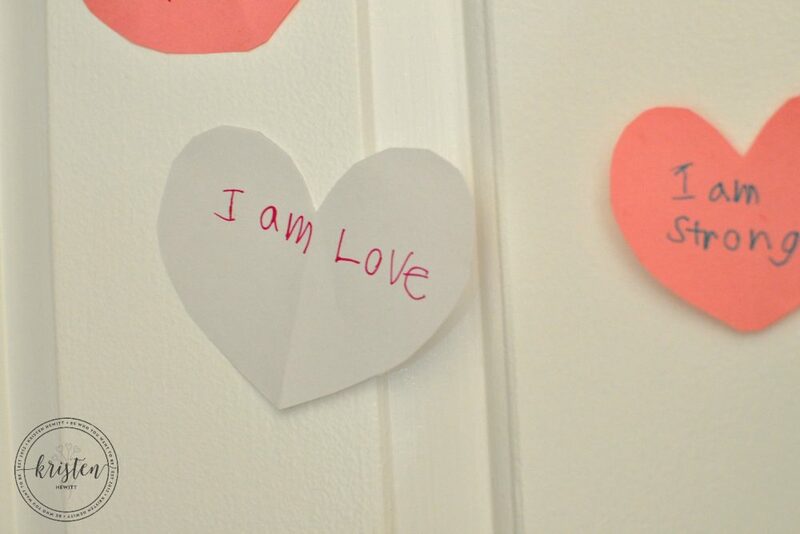 Me too, like in my front yard! Nuts and Bolts cupcake was delicious! So moist and tasty. A delightful surprise.